This image, of a male Red-breasted Sapsucker, was featured in the summer 2017 issue of American Forests magazine. 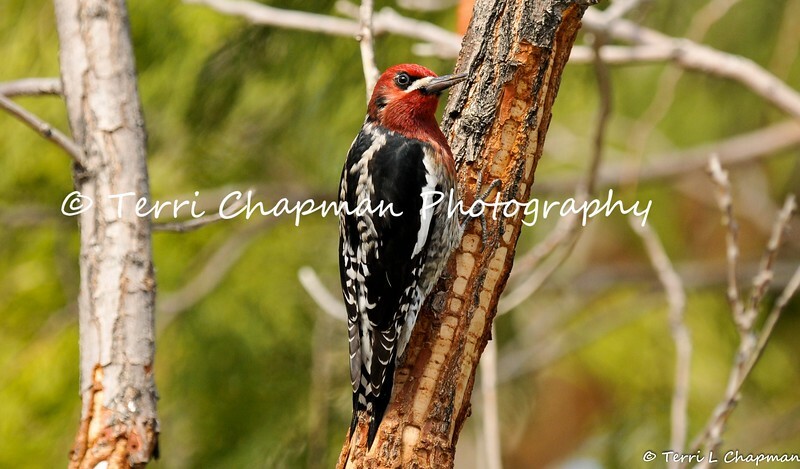 This beautiful bird was photographed in Valyermo, CA. Red-breasted Sapsuckers are winter visitors to Southern California and like other sapsuckers, these birds drill holes in trees and eat the sap as well as insects attracted to it. Red-breasted Sapsuckers visit the same tree multiple times, drilling holes in neat horizontal rows (as shown in the photograph). A bird will leave and come back later, when the sap has started flowing from the holes. Sapsuckers also eat seeds and berries.